Day 2 kicked off with the arrival of two more of our amazing actors, Rebecca Gomberg, who plays Scarlet Winchester, and Alexander Harris, who plays Grant Morgan. It’s incredible to watch these two in action. 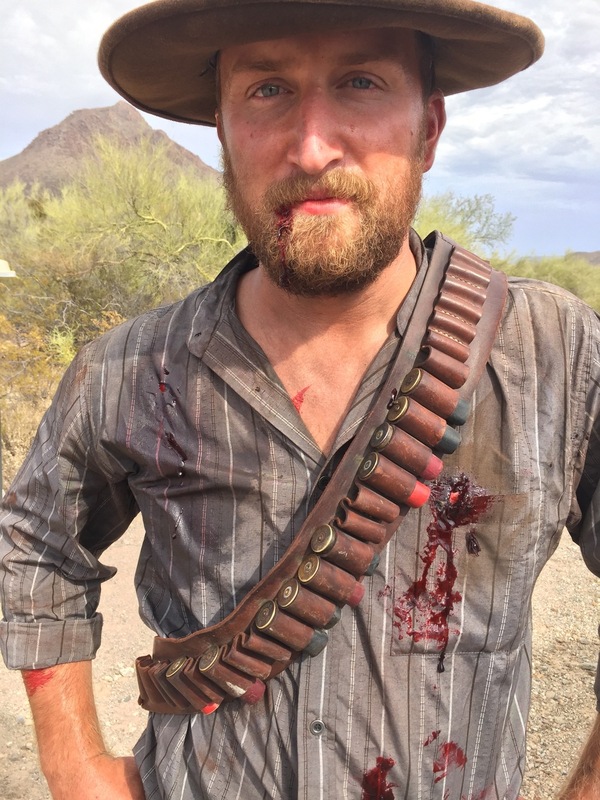 From the moment I yelled “action!” out in front of an old church in the desert, Alexander Harris was Grant. It was a real bucket list moment to have him walk in the door of the church in one of those classic Sergio Leone shots. Then we headed over to the graveyard to start shooting with Rebecca. The very first thing we asked her to do was scream. Her character has been shot, her husband has been killed, her sister-in-law left for dead AND she’s going into labor. Probably not the easiest thing to start with. BUT THEN the screaming started. I have never heard such guttural, desperate, break your heart screaming like that in my entire life. Then the scene unfolded with her and Alex and it was pure magic. 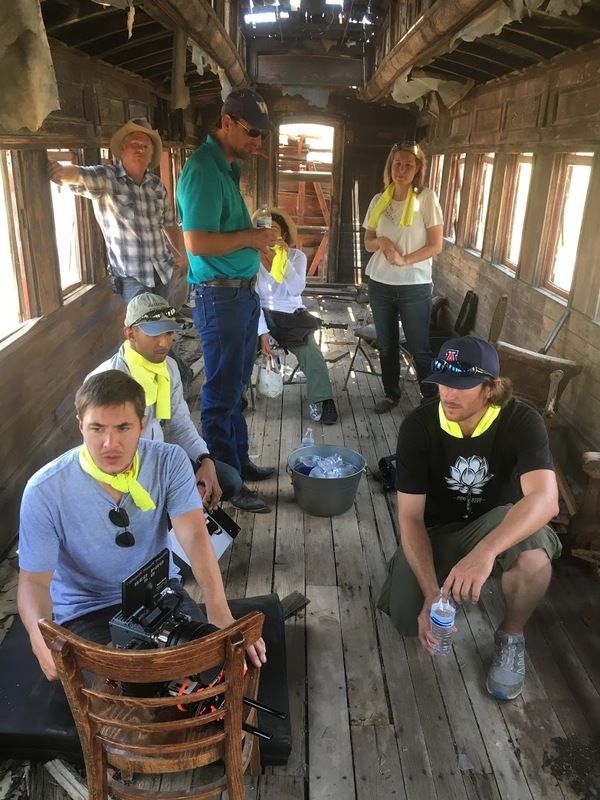 After that, we headed off to an abandoned train car from the 1800s. It doesn’t get more period than this. Not only did we film another beautiful scene, it was also our first shootout! Revolvers were going off, shot guns were firing, and it was incredible.